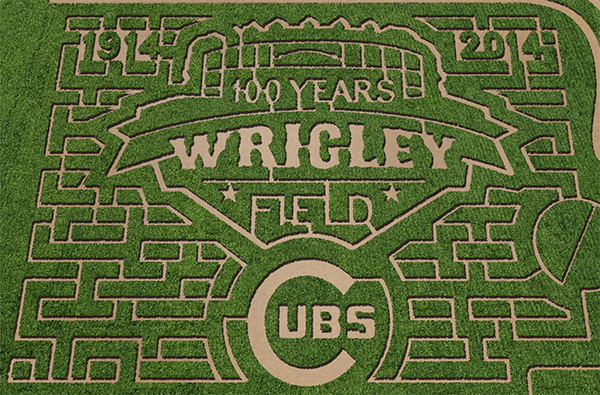 Caution: Maze could be muddy, remember to wear old shoes or shoes you don’t mind getting muddy. 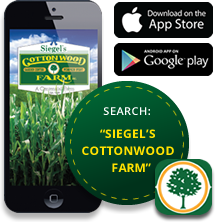 Saturdays, Sundays & Columbus Day from 10:00AM to 6:00PM. 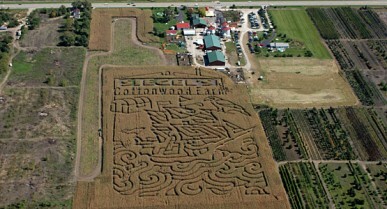 Siegel’s Cottonwood Farm in Lockport continues to knock it out of the park with the best mazes around. 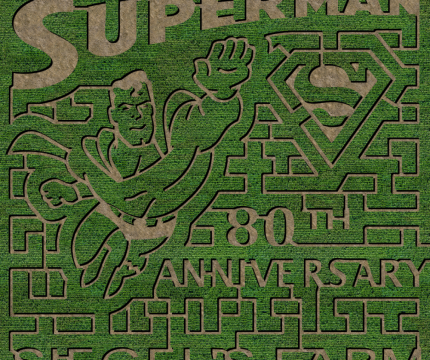 This year announcing that its 2018 15-acre corn maze has been cut to honor Superman’s 80th Anniversary! 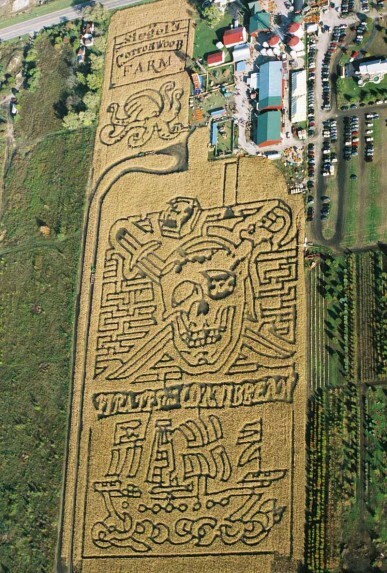 Creating a custom corn maze actually starts several months before the corn is even in the ground, and, contrary to what most people believe, is actually cut while still only ankle high. 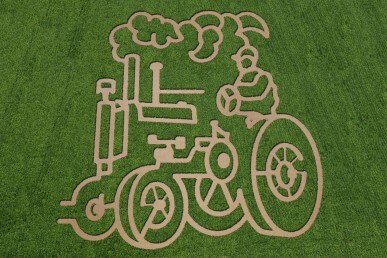 It then will grow big and tall into the pattern previously designed and laid out in the field, like this photo. 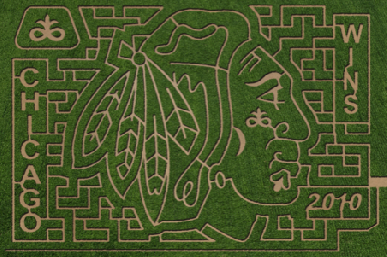 Everyone is invited to come out to try their luck in navigating through the _____ in the maze! 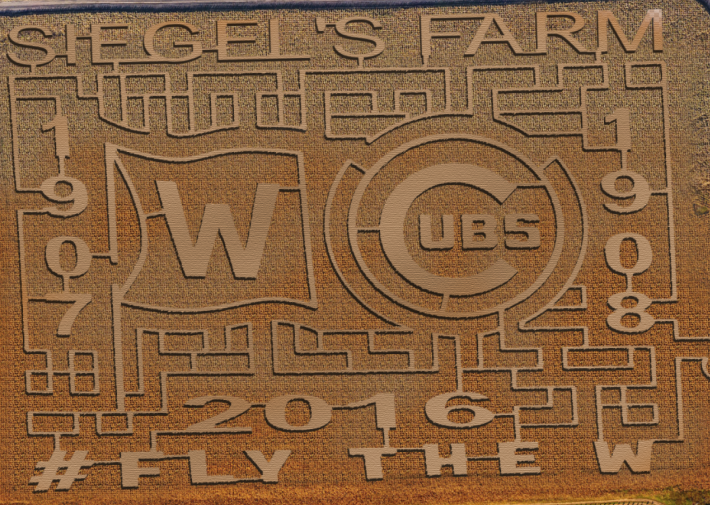 We encourage everyone who takes on the challenge to post their photos with hashtag #SiegelsCornMaze. 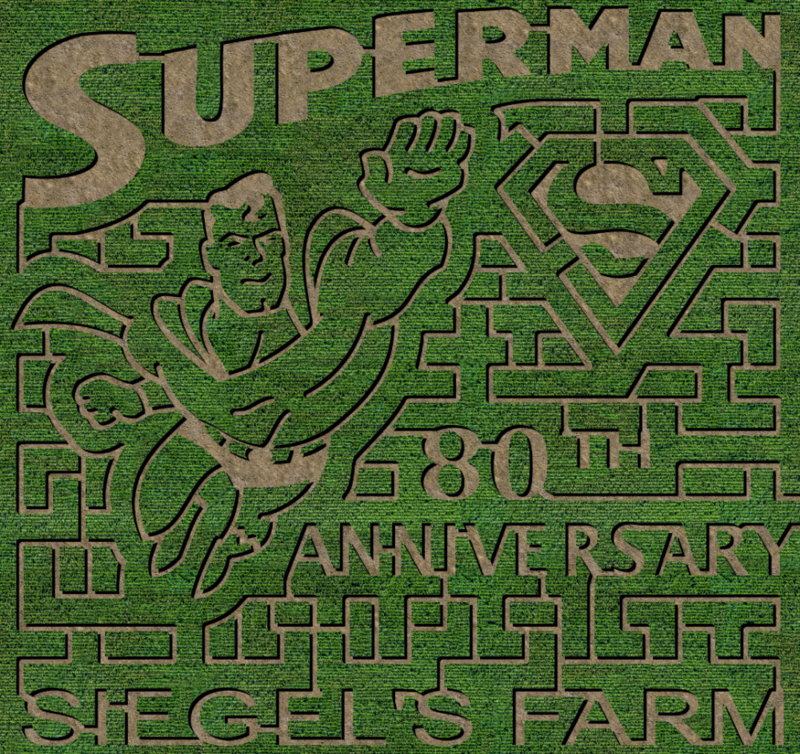 The Superman maze opens Saturday, September 22 at Siegel’s Cottonwood Farm, and will be open daily from 10:00 a.m. – 6 p.m. through Halloween. 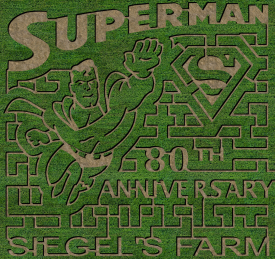 *Please note our Superman maze is only open Weekends and Columbus Day* but be sure to check out our smaller 2 acre maze; Spookley the Square Pumpkin. 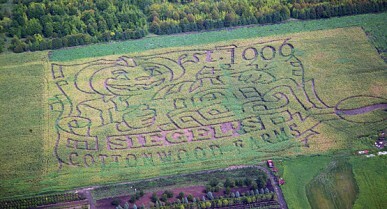 Siegel’s Cottonwood Farm’s mazes, Pumpkin Fest and U-pick pumpkin patch have been recognized as one of the top 10 in the country by TravelChannel.com, MSN, Yahoo, FOX News, HuffPo and Tripping.com. One hot fall September day in 1956 Farmer Paul’s brother Art, at the age of only 2, left on an adventure. He started out by leaving the safety of the front yard with his little red wagon to join dad only 300 feet away. 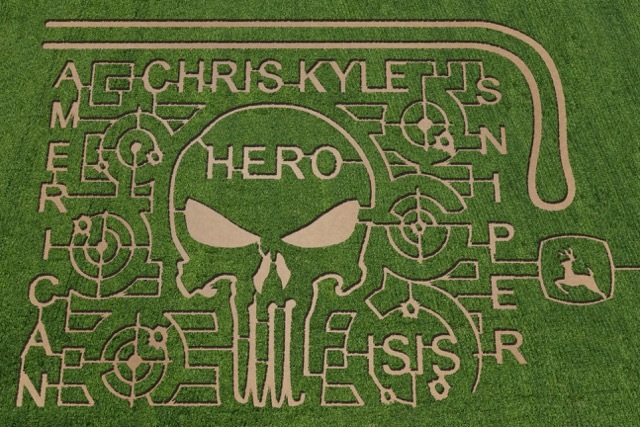 He did this by way of the cornfield. It did not take long before he really did not know which way to go. So he just kept walking, thinking all he had to do was walk a little more. He continued through the cornfield that by now was quite hot. He got more and more frightened with each step he took. By lunchtime mom and dad began looking frantically for their then youngest son with no success. 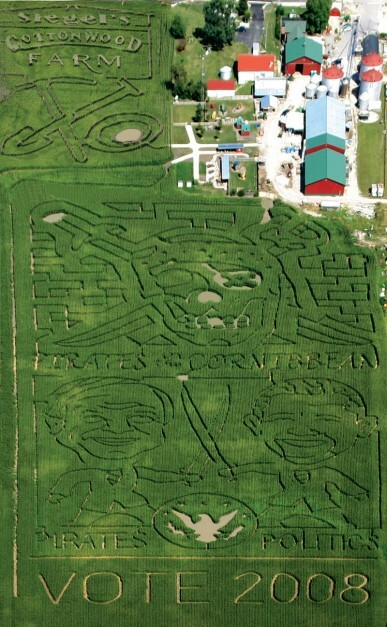 The neighbors, police and even the Stateville prison guards were called to find Art. After checking all the buildings and even dredging the horse tank with a pitch fork there was only one place left he could be, the CORNFIELD. After hours of searching, little Artie was found over a mile away, through the hot corn field, eating cookies at a neighbor lady’s house. We are proud members of The MAiZE Family. 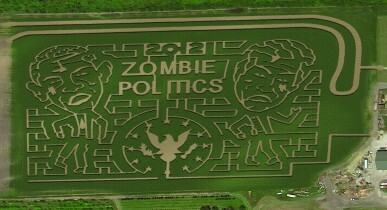 Click here to give us your idea for our maze theme/design.